[LI] LinkedIn + Microsoft = ½(good thing) ? [LI] What if your resume “kept on file”​ didn’t just sit there? [LI] Towards AI for job seekers? [LI] Could bots do salary negotiations better than we do? [LI] An employment “filter bubble”? [LI] Other people’s job algorithms – is this a path we want to follow? [LI] “Crap sandwich” ; “too collaborative”? [LI] Physiological reactions to IVR & voice AI? [LI] West of ikigai: Skilled, motivated, & paid, but not needed? An International Year of Millets? India is celebrating 2018 as its National Year of Millets. This follows a proposal by the government of India to the United Nations (UN) in late 2017 to make 2018 the International Year of Millets (which I’ll abbreviate IYOM). The purpose of IYOM would have been to highlight the importance of diverse millets for for farmers, for nutrition, and for food production in the wake of effects of climate change. Evidently, and unfortunately, that proposal was too late in the year to set the machinery in motion to organize an international observance of this sort in the following year. The question at this point is what is the possibility of organizing a future international observance for these important but not fully appreciated grains. Will India’s experience with its current National Year of Millets help generate interest for an eventual IYOM, or take the steam off that proposal? Or will it lead to a year with a related but broader topic, covering something like “underutilized crops”? It will take some time to know the answers. In the meantime, here’s some information on what has and hasn’t happened with respect to both the national and international years. The purpose of the National Year in India is similar to that mentioned above for the IYOM. One apparent concern is that even as millets are adapted to diverse conditions and have good nutritional profiles, cultivation of them has declined significantly relative to the main grain crops like wheat and rice. 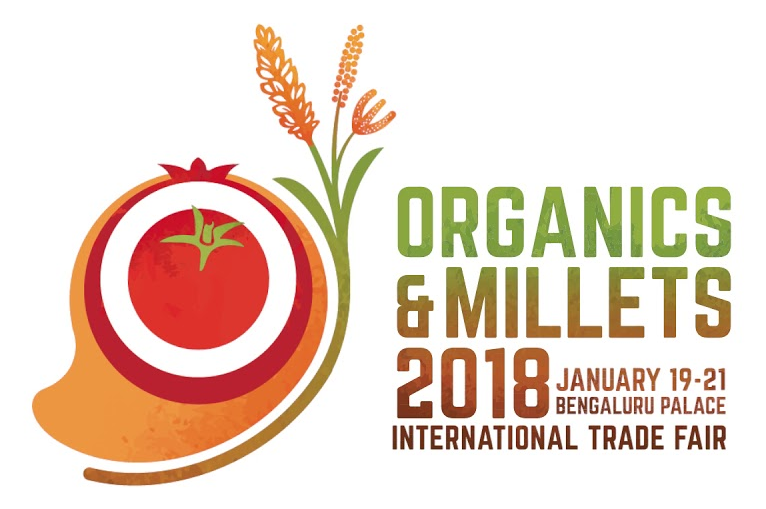 In January, the southwest Indian state of Karnataka – a major producer of several types of millet – held a previously planned Organics and Millets International Trade Fair in Bengaluru (logo featured at right). But it is not clear from available information what actions are being planned specifically for the year. At such time as more information is available, I will post about it. India is a veritable crossroads of millets – cultivating most of the millet species grown in diverse parts of the world, and even exporting some. So its success with its National Year of Millets will be important to watch. As for the IYOM proposal, apparently the agricultural ministers of India (Radha Mohan Singh) and of Karnataka state (Krishna Byre Gowda) first brought up the idea with the UN Food and Agriculture Organization (FAO) last October. The formal national government level proposal, in the form of a letter from Minister Singh to the UN Secretary General (António Guterres), came a month later. Soon the Hyderabad, India-based International Crop Research Institute for the Semi-Arid Tropics (ICRISAT) joined in, with a graphic presentation on the proposed IYOM and support for Minister Singh’s letter. The “Indian Father of the Green Revolution,” Prof. M.S. Swaminathan tweeted his support. Supposedly other countries were interested. But stepping back to look at the planning and lead time given for other international year observances, this idea, however laudable, did not have enough time to generate the support, means, and thinking needed to put together a successful world-wide observance for 2018. According to the UN, most observances such as international years “have been established by resolutions of the United Nations General Assembly [UNGA], although some have been designated by UN specialized agencies.” So perhaps FAO could have declared a year of millets, though as Minister Gowda was quoted as saying already last October, “The FAO is of the view that it takes time to decide.” One would imagine that a decision by the UNGA to establish such an observance would carry more weight, since it speaks for the whole UN. However the UNGA only meets for a limited time each year, and its agenda is usually set several months in advance. Of the three International Year observances scheduled for 2019, one – Indigenous Languages – was decided in a UNGA resolution in late 2016, and the other two – Moderation and the Periodic Table – were set in late 2017. Talking must have begun at least a year earlier in each case. Looking at the calendar, some observances are scheduled already scheduled for 2022 and 2024. In any event, as of 4 February 2018 (the most recent update I could find online), Minister Gowda is quoted as saying that they are still awaiting a response from the UN about the IYOM proposal. Apparently one of the reasons 2018 was proposed for IYOM was that there were no other observances scheduled for that year. However, the same is true for 2020, and moving the proposed IYOM to that year would probably allow enough time to put together a successful campaign and observance for these important but often overlooked grains. One of the two foods highlighted in my chapter about soybeans in Africa in The World of Soy (published already 8 years ago now) was a pungent West African condiment, traditionally made with “African locust beans” but increasingly with soybeans, and known by various names such as: sumbala, sunbala, or sungala (in Manding); daddawa or dawadawa (in Hausa); iru (in Yoruba); netetu (in Wolof); and ojji (in Fula). The other food was tofu, which is also an interesting development, but here I’ll focus only on the condiment, and the ongoing natural resource issues behind a shift in its main ingredient. Increasing use of soybeans is a good story, but the decrease in use of locust beans is not, reflecting declining numbers of African locust bean trees due to loss, low regeneration, and little planting, and decreasing production by existing trees where rainfall levels have gone down. Sumbala – I’ll use the term from Manding here, although I used the Hausa term in the book chapter – is widely used across West Africa to season sauces. The process of making sumbala centers on fermentation of seeds, most commonly those of the African locust bean tree, Parkia biglobosa (among the traditional alternatives is a close relative of the more humid tropics, P. bicolor). More about the tree and what’s happening with it in a moment, but about its seeds – evidently they are quite nutritious. Locust beans have high protein (like distantly related beans) and various other nutrients. The fermentation process, aside from changing taste, also affects the profile of available nutrients. Production of sumbala – generally done by women as a home-based industry – is a multi-step process from preparing the seeds to boiling them to setting them aside in the proper conditions to ferment (without innoculent to get the fermentation started). The bacteria of the fermentation are in the Bacillus group, primarily Bacillis subtilis (a variety of the latter is also used to ferment soybeans in a somewhat different process to make a Japanese food called nattō 納豆). The final sumbala product can be seen in local markets as a ball or patty. These may be traded at some distance within the region. Nowadays it is also packaged in a crumbled form for sale in urban markets and for export. Parkia biglobosa, often called in English African locust bean tree, or more rarely African carob, is common in Africa, and especially West Africa, roughly between 5°N and 15° N latitude – from the edge of tropical forests to the edge of the desert (“mean annual rainfall” of 400-700mm). 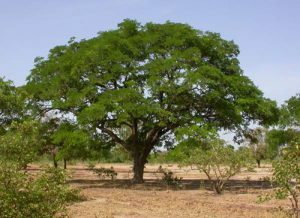 The tree of course has names in the various languages of the region such as: nɛrɛ or nɛtɛ (Manding); ɗorawa (Hausa); irugba (Yoruba); uul (Wolof); and nareewi or netehi (Fula). “Néré” in French and English comes from the Manding, as evidently do the Fula terms. The tree is valuable for its seeds, of course, and also for other products, such as the nutritous yellow pulp of the pods. 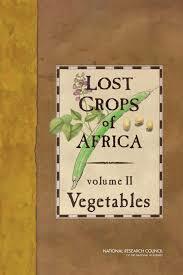 The Lost Crops of Africa (vol. 2) chapter on the African locust bean tree discuses some of those uses. In terms of traditional medicine, bark and leaves are apparently effective in treatment of some infectious diseases. Due to its value, the locust bean tree is usually conserved in fields when most other woody plants would be cleared. However it has been noted for a while that natural regeneration is apparently not sufficient to replenish the population – which recent studies from Burkina Faso and Nigeria confirm. Reasons given for this include the harvest of the seeds for sumbala, and loss of seedlings to drought or browsing livestock. Efforts to plant African locust bean trees are apparently few, even though it is simple to seed directly or produce in nurseries. * One example of planting in southern Burkina Faso is interesting but seems to be limited in scope. It is not clear whether planting this species is part of any large scale project or extension effort, although it was mentioned in a 2010 recommendation of species for the Great Green Wall project. Another challenge is lower rainfall levels, which aside from affecting survival of seedlings also lower production of seed pods – as observed in another example from Burkina Faso. It is in this environment, with generally declining availability of locust beans but increasing markets for sumbala, that soybeans emerged as an alternative. This substitution is described in more detail in the book chapter, but it appears to have been an innovation by Nigerian women in the 1980s. I am not aware of any studies of its dissemination – by local networks or projects, nor whether it may have been an innovation in several locations experiencing the same shortage of locust beans. I first learned of this substitution in 1999 while in Mali, and it was treated as a new development – indeed a project had introduced the use of soybeans for sumbala a couple of years earlier. Soybeans have a couple of advantages for making sumbala, notably as a field crop they can be produced quickly enough to respond to demand, and having thinner seed coats, require less boiling time (hence less firewood in typical production) to prepare for fermentation. On the other hand, soybeans as a field crop require more labor to produce than locust beans, which are simply harvested from trees, and the soy sumbala deteriorates faster in storage. In terms of taste, opinions I heard were that soy sumbala was comparable to that made with locust beans. However Margaret Shao, in a master’s thesis referencing her research in northern Ghana, found that locust bean sumbala was preferred. And further that because of this, soybeans were sometimes used as filler with locust beans in making sumbala to combine the advantages of both. Beyond that, I have not seen any studies of preferences. The Africa locust bean tree is valuable in many ways, of which the use of its seeds for making of sumbala is particularly important. Soybeans are established as a valuable crop and food in West Africa, and have added an important option to producers of sumbala in the face of increased demand for their product and decreased supply of locust beans. The two – soybeans and locust beans – are in a substitution relationship that is relatively novel. But the emergence of soybeans and decline of locust beans does not mean that the former should be expected to supplant the latter as the main ingredient of this West African condiment. Use of soybeans to produce sumbala, by helping meet demand for the condiment, may actually help reduce pressure on supply of locust beans, thus perhaps indirectly favoring regeneration of the African locust bean tree. 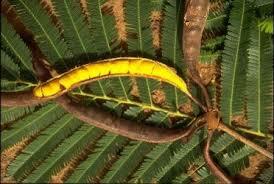 However, various factors make reliance on natural regeneration of the African locust bean tree unrealistic. The main hope for maintaining this tree as a component of African dry forests and sustainable source of seeds and other products will have to be its deliberate production and planting both as a tree crop in reforestation projects and as a “food tree” crop in community-level agroforestry. I would like to add a brief remembrance of Prof. Sidney Mintz, one of the editors of The World of Soy, and of course a distinguished scholar whose work profoundly influenced his field of anthropology, as well as the lives of many. Prof. Mintz passed away last December after an unfortunate accident. 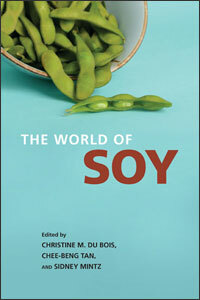 The New York Times obituary called him the “father of food anthropology” and indeed his work on the project that resulted in The World of Soy was in this vein. According to his website, his next project was “looking at fermentation, a too little-noticed subject, when we consider that as much as one third of the food we eat is fermented.” He had a tireless intellect and genuinely inspiring approach to scholarship and to life. My only connections with Prof. Mintz were as an undergraduate student years ago in an intro to anthropology course he taught at Johns Hopkins entitled “Human: Being and Becoming,” and of course in the soy project, including a panel presentation at the 8th Symposium on Chinese Dietary Culture in Chengdu. There are many more fitting tributes to his life and work. I can only say I was privileged to have learned from him. * The thick seed coat may require some treatment – “scarification” – to facilitate penetration of water and germination. Manuals recommend several methods including boiling briefly, soaking in sulfuric acid, or physically nicking the seed cover (one study, for example, compares methods). For a moderate production, on the order of 100 as I recall, I used the following simple method in Djenné, Mali during the early 1980s: Soak seeds in water overnight, remove swollen seeds for planting (we produced them in plastic pots in the nursery for later outplanting), return non-swollen seeds to fresh water to soak, with option to nick the outside of the seeds with a pocket-knife to hasten the process. Pulses? Grain legumes. Dried beans and lentils. Pulses, also known as grain legumes, are a group of 12 crops that includes dry beans, dry peas, chickpeas, and lentils. They are high in protein, fibre, and various vitamins, provide amino acids, and are hearty crops. They are most popular in developing countries, but are increasingly becoming recognized as an excellent part of a healthy diet throughout the world. Some pulses are also grown for fodder. As legumes, they fix nitrogen in the soil, and as crops, this group of plants apparently requires less water than some other crops like soybeans. Note: In the past I posted brief articles about various international years. This post resumes that practice. The word “millet” in English is an inexact term. It can refer to any one of a number of cereals that have roundish grains, of which the four most cultivated worldwide – pearl/bajri, foxtail/xiaomi, proso, and finger/ragi – have been highlighted in the previous posts in this series. It can also refer collectively to all or some selection of them, perhaps including one or more other related grains that aren’t usually thought of as millets – notably sorghum, teff, and fonio. For instance, one overview of millets in Africa discussed pearl millet, finger millet, teff, and fonio. The below diagram of Indian millets, on the other hand, features bajra/pearl millet, ragi/finger millet, thinai/foxtail millet (recall the Chinese name associated with this is xiaomi), and sorghum, along with two others: varagu (kodo millet) and jowar (evidently a variety of sorghum). Kodo millet (Paspalum scrobiculatum), also called rice grass, originated in Africa but is cultivated mainly in India, as well as some countries in Southeast Asia. It apparently has been introduced to the US. Kodo is both wild and cultivated, and more suited to humid/damp habitats. See profiles on the USDA and IUCN Redlist sites. Barnyard millet, may refer either to: Japanese barnyard millet (Echinochloa esculenta), or simply Japanese millet, which is grown primarily in Northeast Asia, but also in parts of the US (see profile on the USDA site); or to Indian barnyard millet (Echinochloa frumentacea), or billion-dollar grass, which is grown primarily in South Asia and parts of North America (see profile on the USDA site). These two, an uncultivated species, Echinochloa crus-galli, and perhaps others are closely related. Little millet (Panicum sumatrense) is similar to proso millet but smaller. It is a minor crop in parts of Asia, in some areas grown up to 2100 meters altitude. See profile on the Useful Tropical Plants site. Teff (Eragrostis tef) is a small grain of the Horn of Africa. 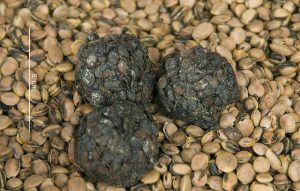 It is described in Lost Crops of Africa, and featured last year on the BBC site as yet another superfood candidate. Teff is especially important in Ethiopian cuisine, used to make injera (እንጀራ). Fonio, grown in various parts of West Africa, is actually two species. They are profiled in Lost Crops of Africa. The term fonio usually refers to Digitaria exilis, also known as white fonio, acha, or hungry rice. A 2014 article in The Guardian described its use in the US. Black fonio (Digitaria iburua) is grown primarily in Nigeria. To add to this complexity, each of these species has varieties and cultivars with different characteristics and names (for instance the US Alternative Field Crops Manual page on millets lists and compares several varieties of proso and foxtail). One expression of these differences in many millets, for example, is the color of the grains. So it is a multifaceted group, which gets back to the original point of this series – to make a practice of distinguishing among the individual plants and, and from a consumer’s point of view, the individual grains. And in so doing, to also call attention to current labeling practices and regulation. 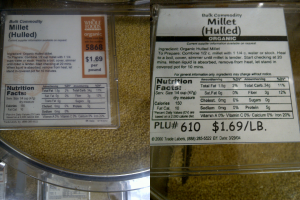 But how to distinguish among millets when labeling doesn’t help? Most millets you are likely to encounter are one of the main four discussed in this series of blogposts. Understanding which one you are looking at requires context and familiarity. Context begins with where you are, since different millets tend to be more common in different countries and cultures. In the US, most sold for human consumption is proso, though labels for it, foxtail/xiaomi and pearl/bajri will all indicate the same ingredient: “millet” (the exception seems to be ragi, which in my limited sample is labeled as “finger millet”). In different countries (and markets in the US carrying foods from them), the selection and likelihood of encountering another millet are higher, and the local names used may help disambiguate. Beyond that, characteristics like color or grain size may also help. For example, when I found packaged millet flour at the Indian Spices store in Falls Church, Virginia, it was only the Indian name “bajri” that confirmed my hunch based on the color of the flour, that this was indeed pearl millet (the otherwise helpful staff did not know, so I did a websearch via smartphone). As for familiarity, such as knowing the color of pearl millet flour or the relative size of proso and foxtail millets, I can only pass on some observations that give some idea. The following picture, for example, shows the grayish pearl/bajri flour on the left, and the reddish finger/ragi on the right. Varieties of foxtail/xiaomi and proso that I have seen have yellow grains. I have not seen flour of either, though I imagine it would be difficult to distinguish the two, even as neither could be mistaken for either of the above. However, there is a significant difference in grain size, as illustrated in the following picture. A quick and very subjective characterization of taste: pearl/bajri, flat; finger/ragi, sharp; proso, round; and foxtail/xiaomi, faint. I find bajri and ragi to have stronger flavors, while xiaomi and proso are blander. 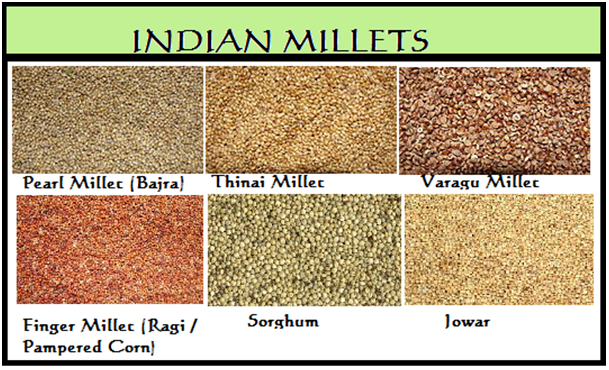 The purpose of this series of six posts on millets, in which the main four – bajri/pearl, ragi/finger, xiaomi/foxtail, and proso – have been highlighted, is to call attention to the differences among what often get lumped together as a single “millet.” These cereals are not the same, either in the field or on the plate, even if some subsets of the larger group are similar in one or another respect. Their very diversity represents, collectively, a resource for our future as we face both increased demand for food production and a changing climate. Proso millet (Panicum miliaceum) is the fourth millet to be profiled in this series and the third most widely produced in the world. It may have originated in what is now northeastern China, but spread to other parts of Asia and to Europe in ancient times. Proso is described on the sites of the Agricultural Marketing Research Center, Feedipedia, and ICRISAT. A blog on millets has a couple of photos of the plant. Other English names include broom corn or broom corn millet, broomtail millet, and quite a few others according to US National Plant Germplasm System (though curiously their list does not include “proso”) and Wikipedia. Various color names are associated with this millet – red, brown, white – with “yellow proso” being the variety commonly sold for human consumption in the US (interestingly, the Chinese word for hulled proso millet, 黃米 huángmǐ, also refers to yellow color). According to one source, the term “edible millet” in the US refers to proso, and the term “common millet” is sometimes also applied, though that is problematic on several levels. The name “proso” comes from several Slavic languages (in the Cyrillic script it is просо). Proso is the most adapted of the four main millets to northern climates, being the main millet cultivated in Russia and the US. Like other millets, it can be grown on poorer soils. Although pearl millet/bajri and foxtail millet/xiaomi are produced more worldwide, proso is actually more important on the world import/export market. Proso only relatively recently became important in the US – during the 19th century, foxtail millet was more widely cultivated (mainly for forage). And production has also increased in recent years – a 2003 crop profile noted a dramatic increase over the preceding decade. The main use of proso in the US is for birdseed, and to lesser degrees as forage and as a food for people. In 1987, when I had just come back to the US after spending 7 out of the preceding 8 years overseas – and 6 ½ of those in West Africa where I got to know pearl millet as “millet” – I went to the local East Lansing Food Coop, near where I had moved in Michigan, and found a bulk “millet” for sale. 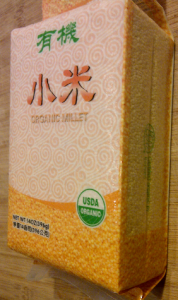 Surprised, since I had never seen “millet” before in an American foodstore – but also noting that the grains were smaller than what I had seen in Africa, and yellow instead of a duller, almost gray color – I bought some to try. Nothing like what I remembered. I later found out that this was in fact an entirely different species of millet, usually called proso. Fast forward almost three decades to suburban Washington, DC, and bulk proso millet is still sold as “millet” (or actually “hulled millet” since proso is one of those millets that need to be hulled) in organic foods stores (photos below from Whole Foods and MOM’s Organic Market in northern Virginia). Foxtail millet (Setaria italica) is the oldest cultivated millet, the most important in East Asia, and the second most cultivated worldwide. It is believed to have been domesticated first in China, with evidence of cultivation going back about 8700 years. The species name as well as some vernacular names reflect its historic significance in Europe. Foxtail millet is described by FAO, USDA, Feedipedia, and on the ICRISAT site. A blog on millets has several photos. Other English names include Italian millet, German millet, Hungarian millet, and dwarf or giant setaria. The Mandarin Chinese name for this grain is commonly said to be 小米 (xiǎomǐ), which literally means “little rice.” Chinese nomenclature for cultivated millets is actually quite complex, but xiaomi apparently refers to the hulled grain of foxtail millet (among the common names for this species and varieties of it are 谷子 gŭzǐ & 粟 sù). There are of course many names in the various languages spoken where foxtail millet is cultivated – one name from India that I’ve come across is thinnai or tenai. Xiaomi can be cooked in soup or porridge, or as one would cook rice. I find the taste milder than the previous two millets (bajri and ragi). There are glutinous varieties of this grain (seen in a market as 糯小米 nuò xiǎomǐ). Like rice, but unlike the bajri, ragi, or wheat, the grain needs to be hulled to cook – which is how it is sold, such as in the package shown on the left. As a crop it has a wide range, cultivated across much of Asia and Europe, though as a minor crop in most of the latter. In the US it is mainly grown as animal feed and for birdseed. Interestingly, cultivation of foxtail millet in the central US increased dramatically after 1850 until it was the most widely cultivated millet in the country by the end of the century (the introduction of sudangrass as a forage crop led to a decline in cultivation of foxtail; no figures found on current foxtail vs. proso production in US). Like other millets foxtail millet is tolerant of drought and can produce on poor soils in a short season (60-90 days for this one). On the other hand, some sources indicate its production does not benefit much from fertilizers or irrigation. Don on Assimilation – in the 21st century? Don on Vertical forests in the Sahara?